Partake in a fun and challenging practice that progresses toward handstand. 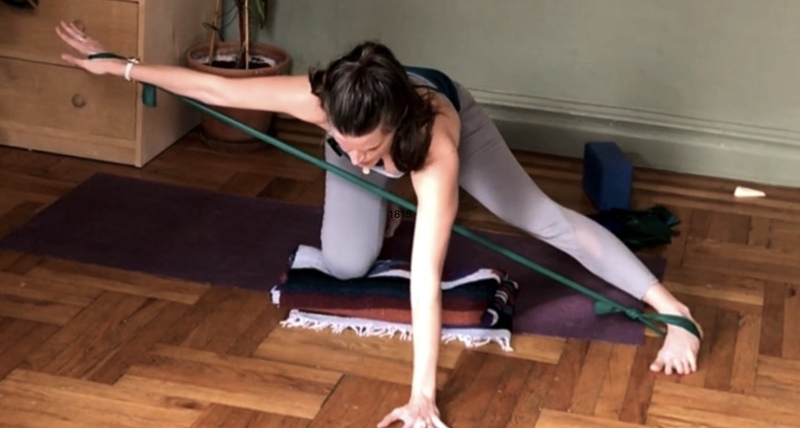 Combining corrective exercises and classic asana, Laurel will walk you step-by-step through a core-integrating sequence to help you learn the component skills of handstand. You will explore several preparatory practices to gradually build your ability to do a full arm balance. The practice culminates with instruction on how to use resistance bands to kick up into handstand with more control. • Bolster your core strength and coordination. 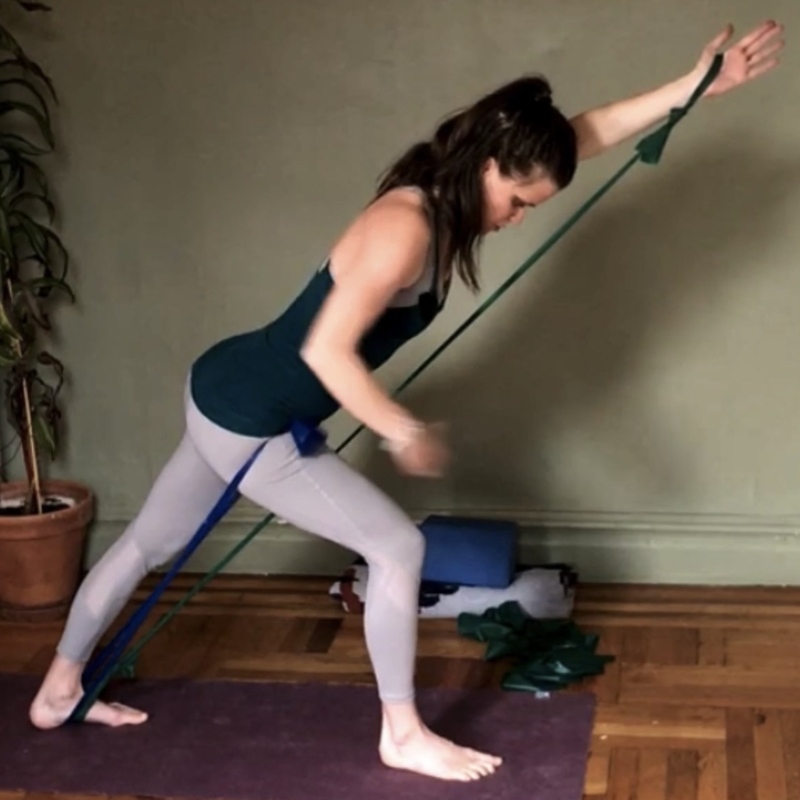 • Build shoulder and wrist resilience for weight-bearing poses in asana. • Increase your ability to gracefully coordinate all of the moving parts when kicking up into handstand. Experience how working with external resistance can lead you toward increased confidence, precision and grace in your handstand practice! LEARN HANDSTAND IN AN INTELLIGENT PROGRESSIVE MANNER. ALREADY KNOW HOW TO DO HANDSTAND? GET READY TO HAVE A COMPLETELY NEW EXPERIENCE OF THIS POSE AND MAKE IT NEW AGAIN!